Can’t manage that down payment but you know owning is cheaper than renting? Don’t give up. There may be a solution for down payment assistance in Florida as well as nationwide. It’s important to get pre-qualified for a mortgage before you start looking for a home. Your lender may have to be an approved lender for some of the programs but you should definitely ask and perhaps move to a lender that is approved if you need to. There are over 2,000 down payment assistance programs for home buyers today. And many of them are available to residents of Florida and Sarasota County. There is actually a “Dream 100” program that covers 100% of a mortgage. This program available in Georgia, Florida, Alabama, Tennessee, South Carolina applies to US citizens and permanent resident aliens is for a buyer that has no owner interest in other property. The credit score requirement is only 680 but the borrower must have a squeaky clean credit history. Other requirements for income, documentation, and buyer education apply. 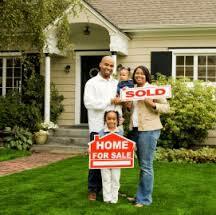 My daughter was able to purchase a home with no money down using the USDA Loan program. There is a geographical requirement and the she didn’t have to be a first-time home buyer or have a very low income limit. FHA has a First-time home buyer down payment assistance bond program (FTHB). The assistance is in the form of a 0% interest or low, fixed rate second mortgage. You can receive up to $7,500 interest free Florida bond money that does not require a payment until the house is sold. There are credit history requirements but if you are 2-3 years past an issue you may qualify if you meet other income limits and have a small contribution to bring to closing, along with a few other requirements. There are programs designed specifically for first responders and teachers. Always ask, and start with your Realtor and find out if they know of an applicable program. Or call me, Susan Phelps at 941-726-2227 to get you pointed in the right direction for assistance.